France has been nothing but unforgettable so far. If you are like me, who has dreamed of spending at least a semester abroad in France since elementary school, then coming here will look like a dream and also the ultimate spot to travel to. Let me start by saying that THERE IS SO MUCH TO SEE! 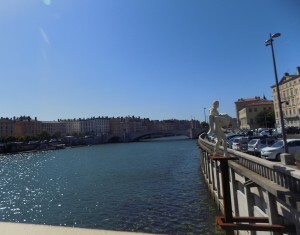 That’s the best thing about living in Lyon, it is right in the heart of Europe. You can purchase a ticket of 55€ to Milan, a flight of 70€ to Barcelona, and a ticket of 1€ to Paris. It sounds almost unbelievable but that’s what’s so great about it all. With that being said, I have been able to see a few places so far around France and in two weeks, I will also be able to go visit Barcelona and hopefully Italy, pictures of which I am excited to share with everyone. Also, if you ever want to go to cities such as Switzerland or Belgium, that can easily be planned to be a weekend trip or even a day trip, as each is only four hours away. So, make sure to visit Lyon at least once! 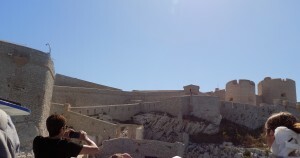 Out of all the places I have visited so far, I wanted to share with you some of my favorites so far. I will start with Marseille. 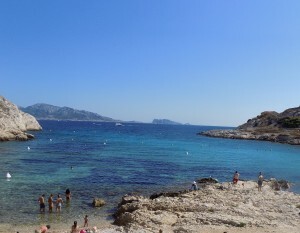 My favorite thing about Marseille was the Mediterranean Sea. I grew up with the Mediterranean Sea as my vacation spot every summer, and going back definitely brought a little bit of nostalgia. 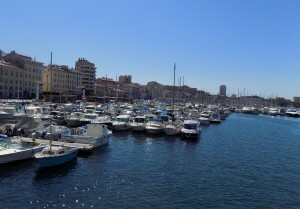 If you ever go to Marseille, start by walking around Vieux Port. 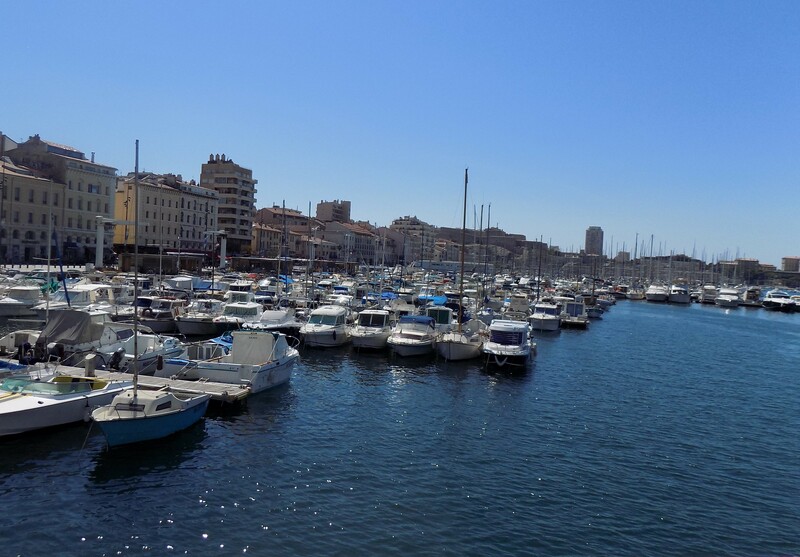 It has markets, cafés, museums nearby, stores, and all that you need to know about the history of Marseille, and its beauty as well. 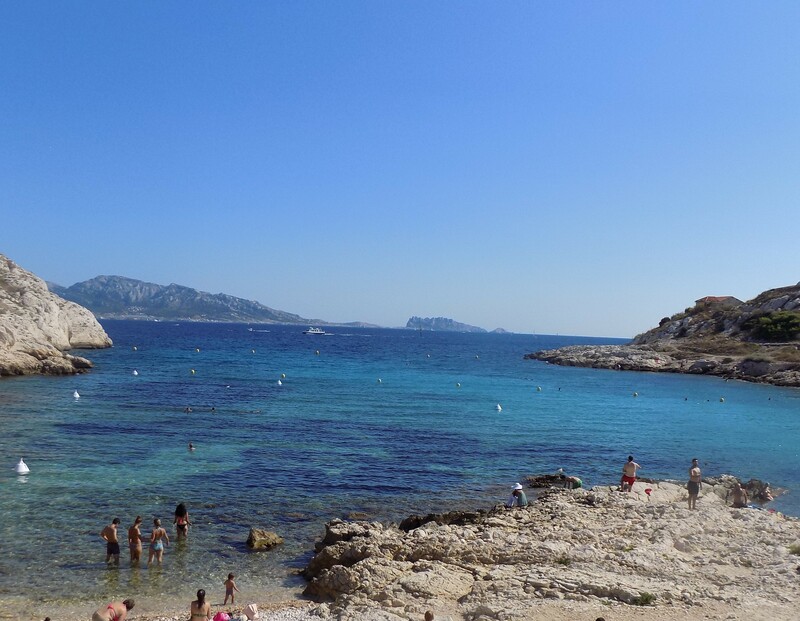 My favorite thing we did in Marseille was take a boat to one of the islands nearby, l’île de Frioul, and spend a couple of hours at this small, but beautiful little beach. 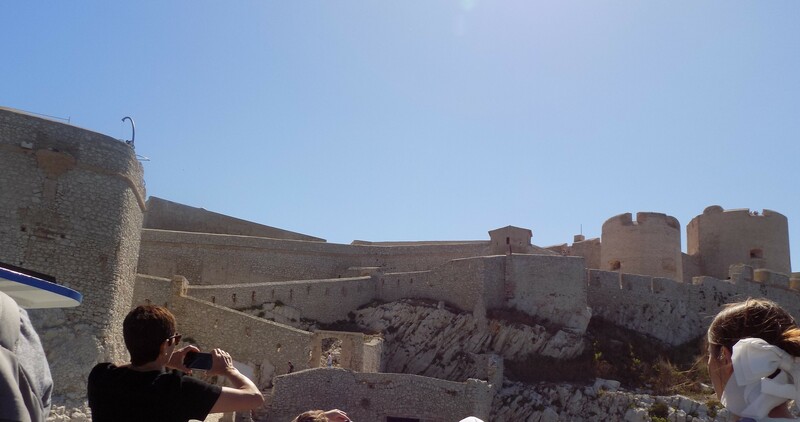 Just to also touch a little base on the enriched history of Marseille, if you are on the boat going to one of the two closest islands located in Marseille, you will pass the Château d’If, which is very fascinating to see, as it used to be a fortress and after a while it became a prison, and therefore a setting for Alexander Dumas’s book, “Count of Monte Cristo”. 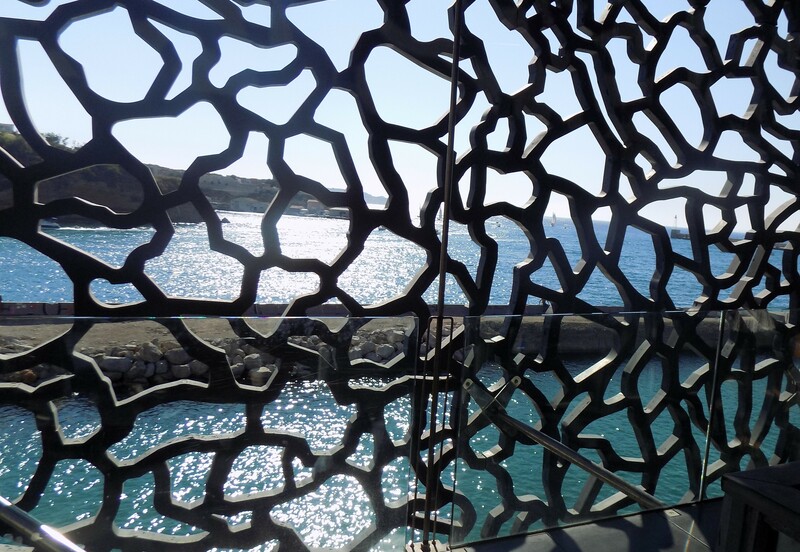 My next favorite spot in Marseille was the MuCEM, which stands for Musée des civilisations de l’Europe et de la Méditerranée. It is one of the best museums I have visited so far. What caught my attention about this museum especially was its architecture, specifically its outer wall, it was like no other building I had seen before. It is a little hard to describe so I made sure to attach pictures. 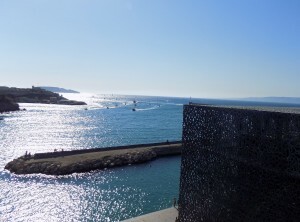 Not only that, but it is located right by the sea, therefore not only do you get to know hands-on a little more about the history of Europe and the Mediterranean area, you also get to enjoy a beautiful view, maybe even a sunset, right by the Mediterranean Sea. 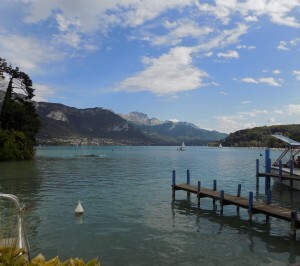 My next favorite place was Annecy. 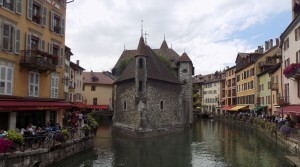 Annecy is the perfect, most characteristic little French town. What I love about Annecy is that it is very picturesque, everywhere you go. Not that other cities have not been scenic, but Annecy is the most quaint city I have visited so far. There is a market that is open every day and it has pretty much everything, whether it be food, clothes, shoes, purses, etc. 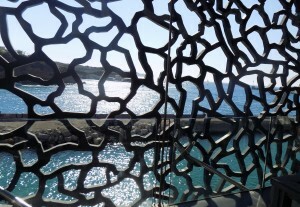 If you ever have the chance to go there, also make sure to stop by one of the little coffee shops around, the service, the coffee, and the view is incredible, and very French. That’s the first time I truly felt like I was in France. Annecy has made sure to keep the antiquity, the history, and the traditions of the city as they were in the past, with little to no changes. That’s all my stories so far. My advice to everyone who is on the edge of studying abroad to France, I highly recommend you come if you have the chance. 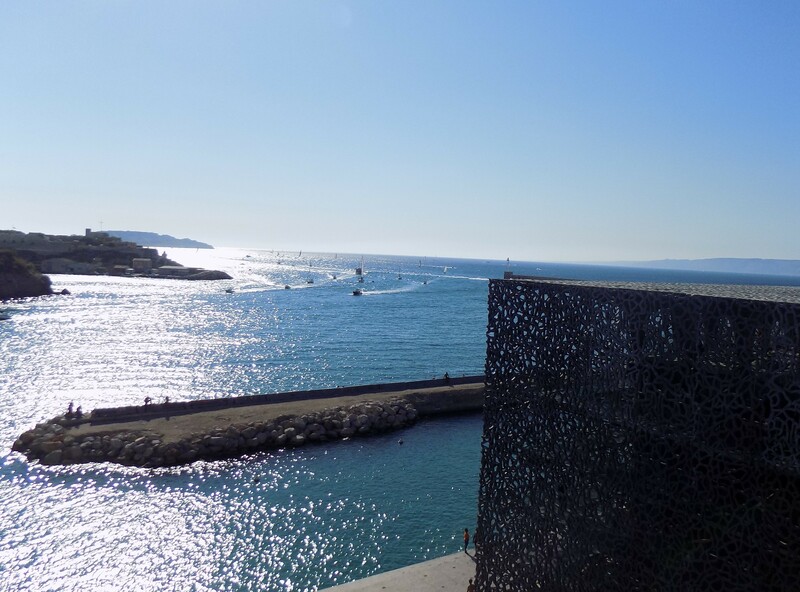 Coming to France also means being able to visit at least three or four other cities in Europe, and on top of that it will be an unforgettable experience.